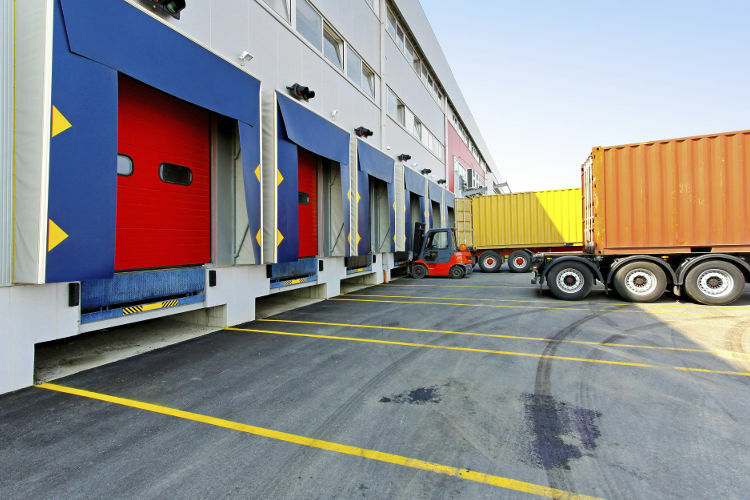 Loading docks are very useful to the industrial warehouses or facilities. However, if vehicles are not secured properly, disastrous things can happen. Vehicle restraints keep a truck from moving away from the loading dock due to unscheduled departures, trailer creep or walk, and issues with the impact of forceful forklift movement. These restraints come in three different models: hydraulic, mechanical, and electric. 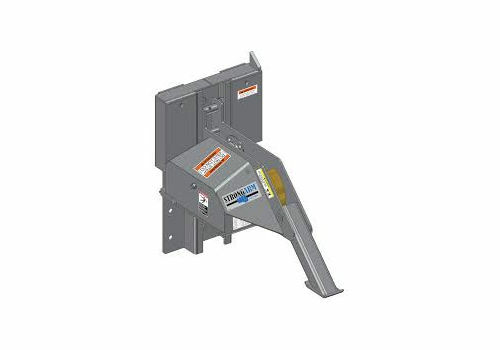 It’s wise to understand the different types of restraints and which ones will work best for your loading dock needs. Remember, you are investing in a device that is meant to keep your employees free from harm and to increase productivity. Vehicle restraints are known for their many benefits to the work place, especially the loading dock area. For one, these restraints help to protect your workers, innocent bystanders, and customers. Many industries have seen a decrease in workplace accidents when vehicle restraints are in place. Utilizing truck restraints also helps keep the workday moving smoothly and increases production yields. Optional touch control panels, as well as interior and exterior LED light communication systems, further improve safety at the loading dock. These types of vehicle restraints are known for their innovative design, dynamic performance, and affordability. Hydraulic restraints restrict your truck from moving and edging away from the loading dock by implementing a series of world-renowned features. Each hydraulic restraint is equipped with an LCD menu screen, function buttons, and a flat-surface keypad that has innovative touch sensors. The proven safety features of the hydraulic restraint include anti-locking systems, anti-obstacle technology, and lock-up prevention. The one-of-a-kind LED light communication system helps keep your employees safe and secure. How? By providing interior and exterior LED lights to keep drivers and warehouse workers aware of current safety conditions. The durable quality of hydraulic restraints containing 1HP TENV power pack and zinc plating to prevent rust and corrosion is unbeatable. Authority Dock & Door provides Blue Giant Hydraulic restraints that are fully equipped with all of these important features. More and more business owners are opting to go with electric vehicle restraint systems because these units are powered in an environmentally sound way. Plus, the operating costs are incredibly low. You can keep your employees safe and save money at the same time. Some warehouses use electric truck restraints to build a ‘green’ loading dock solution. By doing so, builders and developers may qualify for various government incentives for being an environmentally responsible business. Other features of electric vehicle restraints include intelligent touch control systems. This technology allows drivers and warehouse workers to use convenient LCD menu screens with function buttons and flat-surface keypads. Audible alarms are built right into the control panel to alert dock attendants of potential danger. Blue Giant electric vehicle restraints are built to last with dichromate zinc-plated steel housing that protects both external and internal components. Authority Dock & Door is happy to bring you the best of the best. This type of vehicle restraint is a no-hassle type of tool. It is easy to operate. The device is engaged and released by a single detachable control rod. Because there is no strenuous bending or lifting required, your employees have a smaller risk of injury during operation. 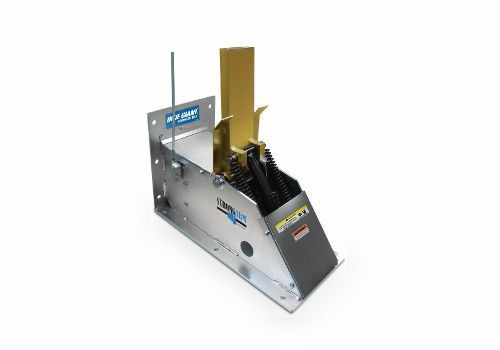 The mechanical restraint also features a non-impact system. This means that during passive engagement, less wear and tear is placed upon the restraint components. This lowers the need for maintenance measures. Did you know that certain industries handle explosive substances and require limited interaction with electrical components? In comes the mechanical vehicle restraint. There is no electricity necessary. This restraint can safely be used at chemical handling facilities or grain storage warehouses without an issue. Blue Giant has created mechanical restraints that are meant to last. They are durable and strong and can even be left in the locked position overnight to keep trailers from being stolen. There are numerous businesses that can benefit from vehicle restraint systems. Any industry that has a loading dock(s) will undoubtedly see an increase in worker safety and production when truck restraints are implemented. Below, is a list of some industries that often utilize truck restraints at their loading docks. This list is not limited as vehicle restraints can be used anywhere they are needed. Truck restraints are designed to keep your employees, drivers, and bystanders safe. Too many accidents have occurred due to unsecured trucks that have crept off the dock or moved during unscheduled departures. All loading docks should utilize vehicle restraint systems to keep the area safe, secure, and production moving without incident. Our friendly staff has been highly-trained in the area of vehicle restraint systems. We know how to service, apply, and operate each restraint in the industry. We would love to speak with you and answer any questions that you may have. 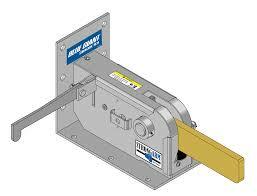 We specialize in electric, manual, and hydraulic truck restraints and offer competitive pricing. Get in touch with us today so we can discuss your options and talk about the type of restraint that is ideal for your loading dock. © 2014 Authority Dock & Door - All Rights Reserved.